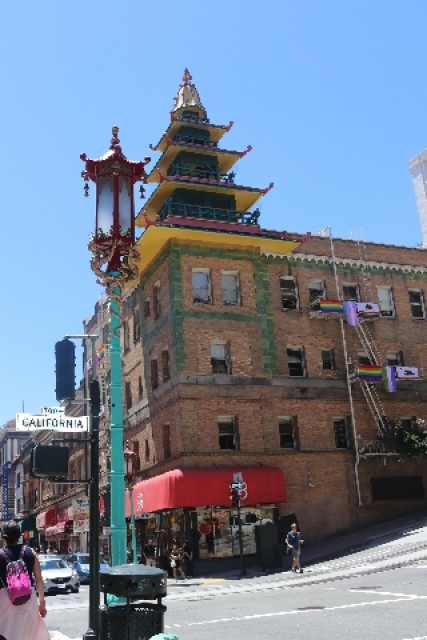 During a recent visit to San Francisco one might reverse that statement as we explored a small part of the largest Chinatown in North America. 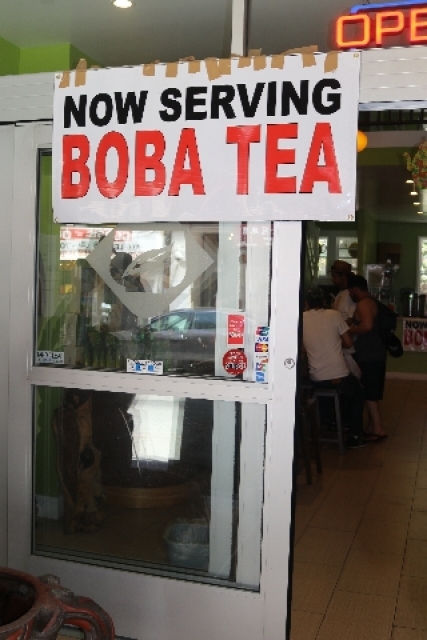 Given the extent of it, and daunting hills, we got the flavor if not the full extent of the experience. We were visiting for ten days to participate in the annual conference of American Theatre Critics Association. For the first two days I was in board meetings from 10 AM to 5 PM. Following the first one, on Tuesday, we were treated to a reception on a house boat in colorful Sausalito and then an evening of local theatre. Through the generosity of our friend, Jack Lyons, we stayed at his time-share, World Mark by Wyndham Resorts on Bush Street. 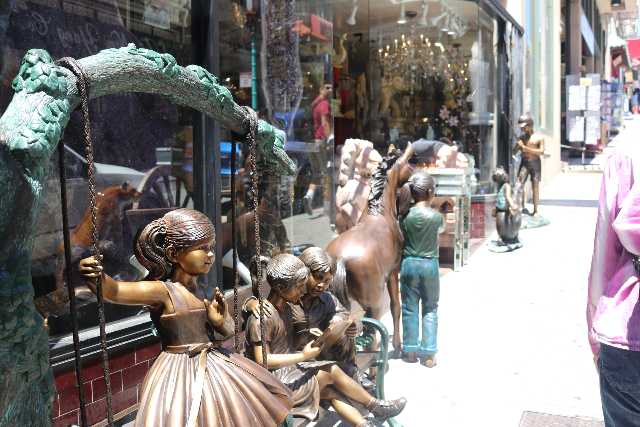 It was about a fifteen minute walk, mostly downhill to nearby Union Square. But easily double that, if not more, on the way back. 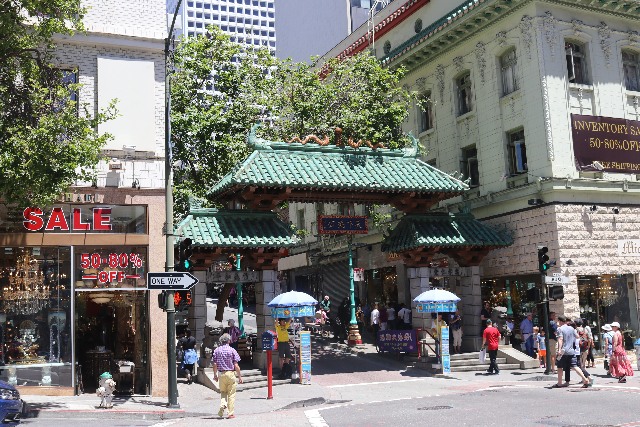 Just down Bush Street, to the left, was Grant Street the colorful gated entrance to Chinatown. 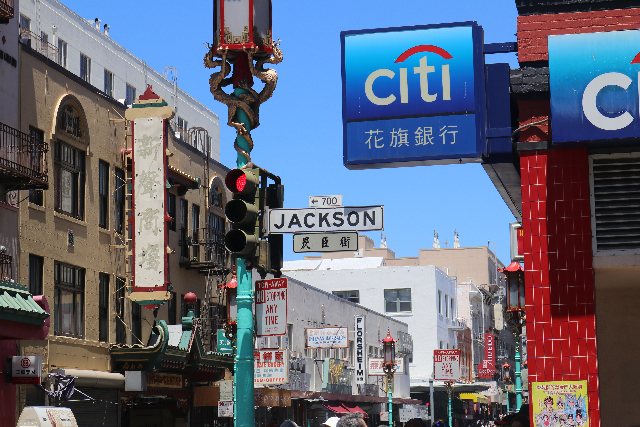 On Wednesday, while I attended a meeting, Astrid and Jack started to explore Chinatown. 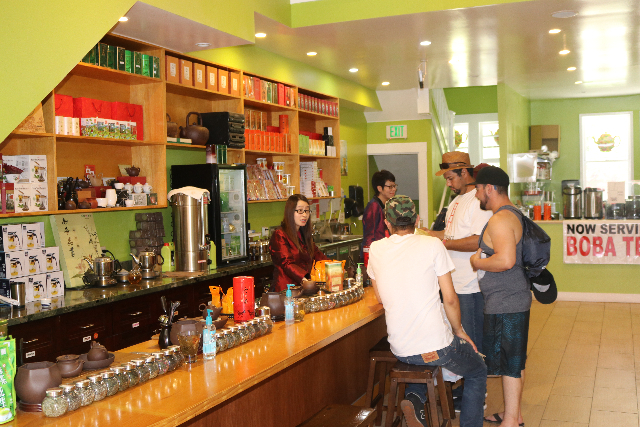 She found a wonderful tea room and scoped out a Pho restaurant to enjoy for lunch. 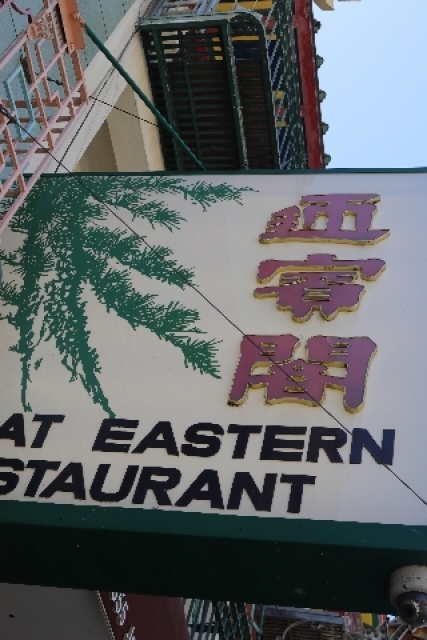 It was on Jackson Street and just beyond is a vast banquet hall Great Eastern Restaurant where we would return for a sendoff feast. Scrambling down Bush Street there was a daunting hill to reach the heart of Chinatown. 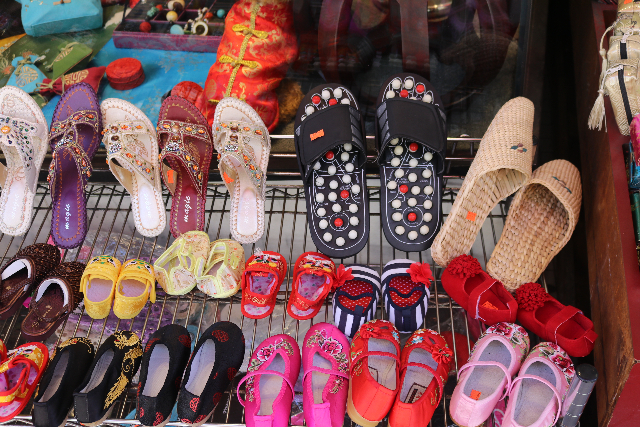 We passed an endless array of shops with exotic ceramic sculptures, curios, clothing, and small restaurants. On the corners vendors were passing out flyers and pointing to restaurants on side streets off the main drag. 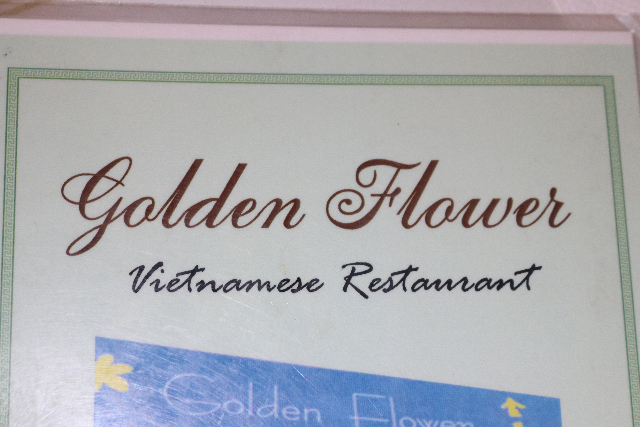 Guiding me to Golden Flower, on Jackson Street, the small Pho restaurant was everything one could hope for. It reminded us of how much we miss Saigon Shack when we lived in East Boston. There was such a wonderful range of Hispanic and ethic restaurants. This is something that, with one or two exceptions, we greatly miss in the Berkshires. 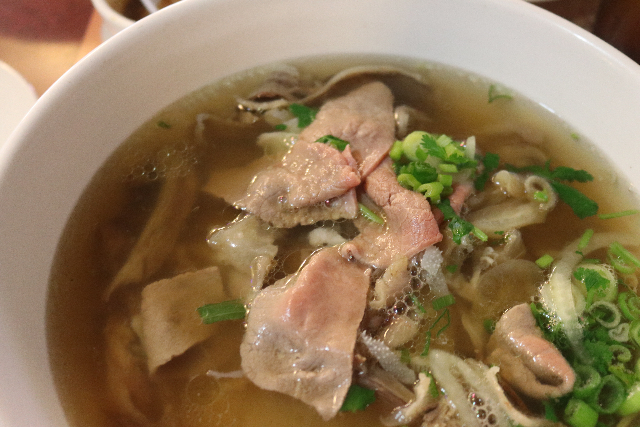 There is nothing in the world quite like a big bowl of Pho for lunch. 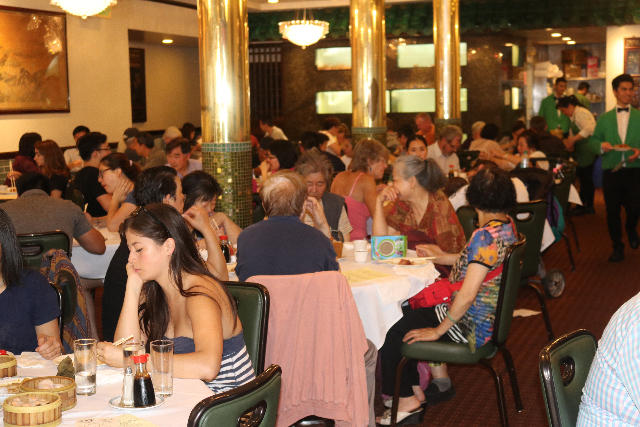 One measure of the quality and authenticity of a restaurant is the proportion of local vs. tourists among the diners. We were pleased to see few tourists. This is not the kind of restaurant that lures them. 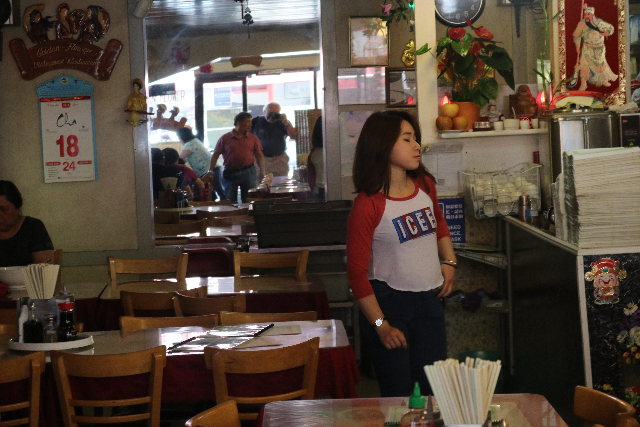 One images that authentic Pho restaurants are few and far between in the heartland. 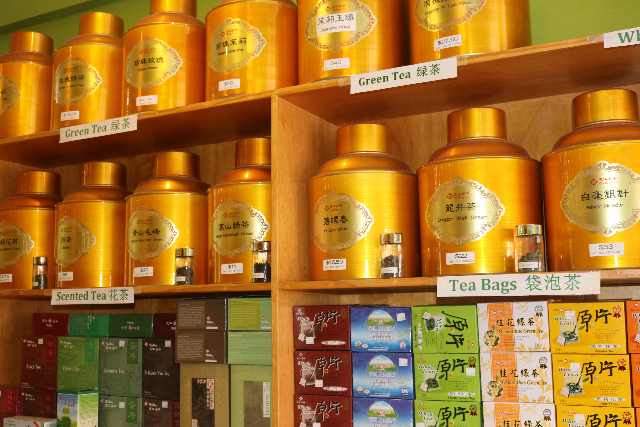 When we are in Pittsfield, however, Vong’s is a great destination. I usually go for the Pho which is quite authentic. Recently, I tried a spiced Thai variation, Pho Doc Biet Xe Luo ($13.95) with small meatballs and house made rice noodles. It was fabulous. Astrid asked if it was as good as San Francisco? The answer was an emphatic yes. 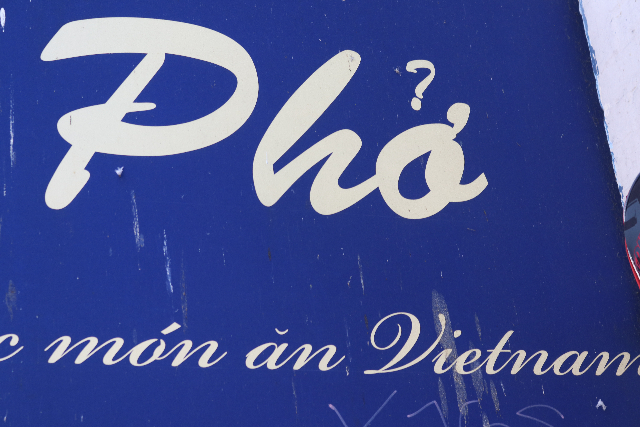 Our visit to Pho Saigon in Lee, some time ago, was a disaster. The Pho was a major disappointment both in quantity and quality. Why skimp on noodles and bean sprouts? We won’t be back. 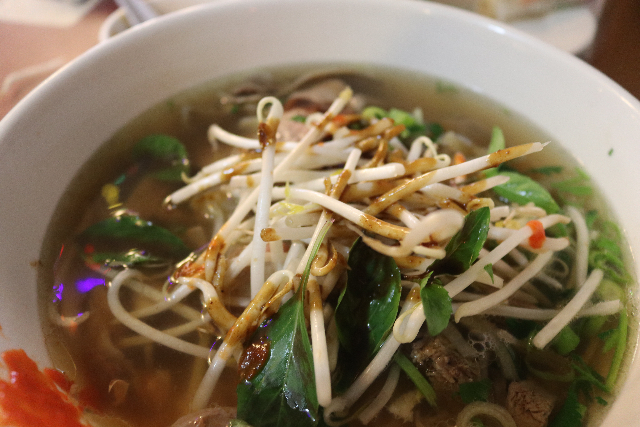 There are some basics that are essential to a great bowl of Pho. Start with a rich and long simmered broth. Most often I go with thin sliced beef which quickly cooks and turns from red to brown. There must be a generous amount of noodle in the large bowl. 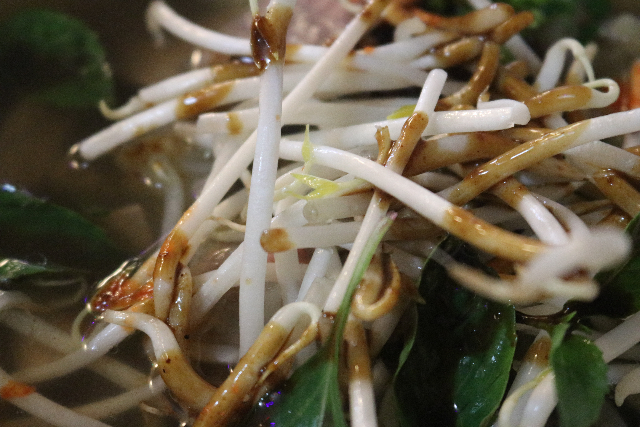 Then there are the essential bean sprouts to add as well as fresh Thai basil, hot peppers, and fresh lime. One adds hoisin and chili sauces. Fermented fish sauce is an option. It was insightful to observe an elegant lady enjoying her Pho. 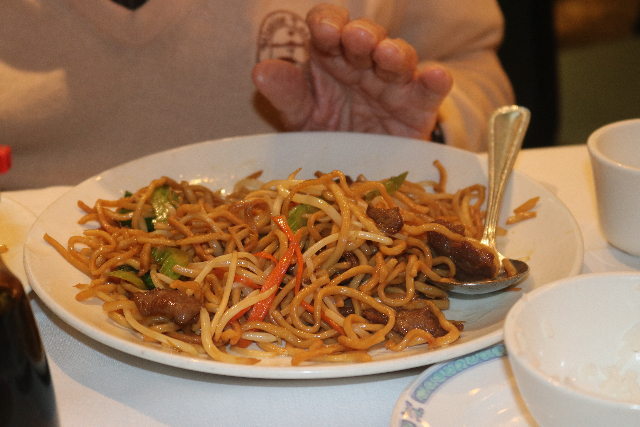 With chop sticks she deftly pulled up strands of noodle and with a swirl put them on her spoon. I tried that but with n ot a lot of luck. Typically, my shirt was rather spattered at the end of the meal. 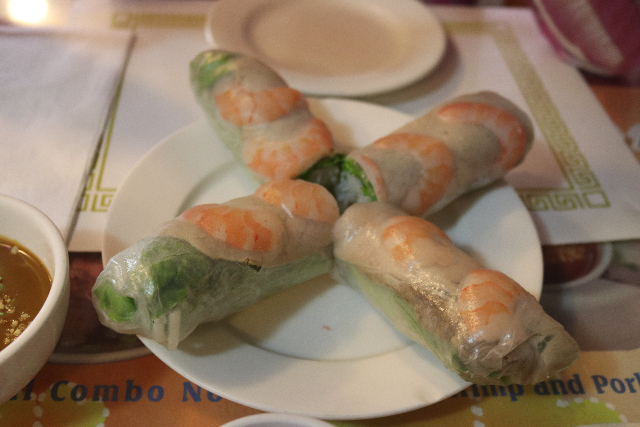 At Vong’s I was somewhat more cautious and adept with a well placed napkin. We usually go after a Sunday, press matinee at Barrington Stage. 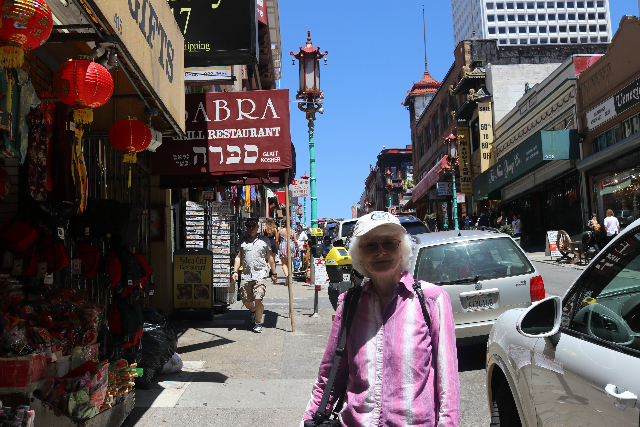 On our second to last night In San Francisco we returned to Chinatown with Jack and our friend Fast Eddy. The mandate was to have a true feast and final celebration. 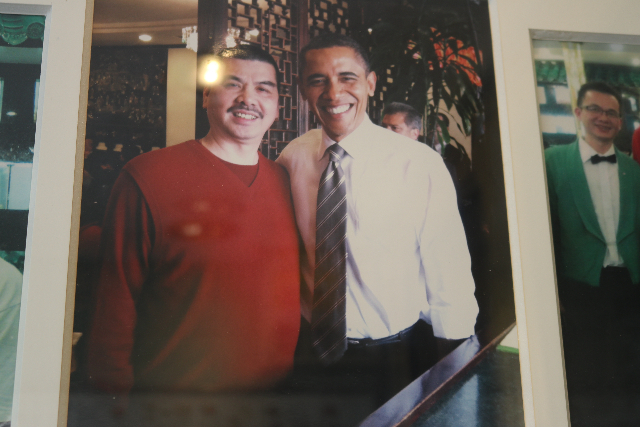 There are photos of Obama in the window of Great Eastern Restaurant (649 Jackson Street). We were comfortably seated at a round table and presented with massive menus. 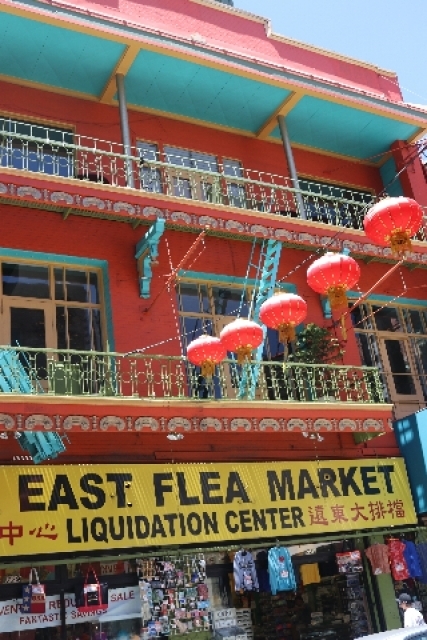 How one would love to come back over and over to explore the exotic cuisine. The dishes were ordered both individually as well as to share. 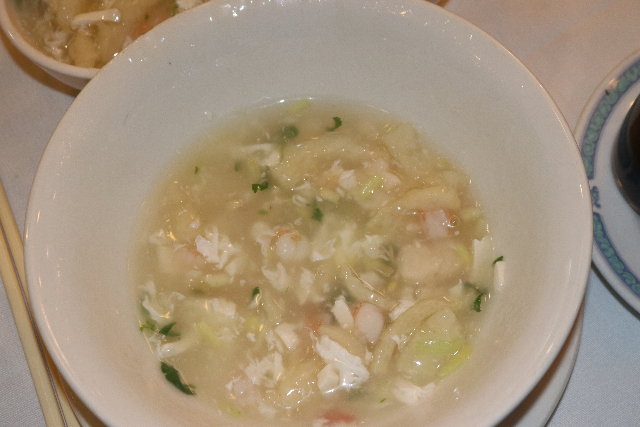 We started with Special House Soup ($11). The waiters in black tie with short crimson jackets were attentive and quick to fill orders. 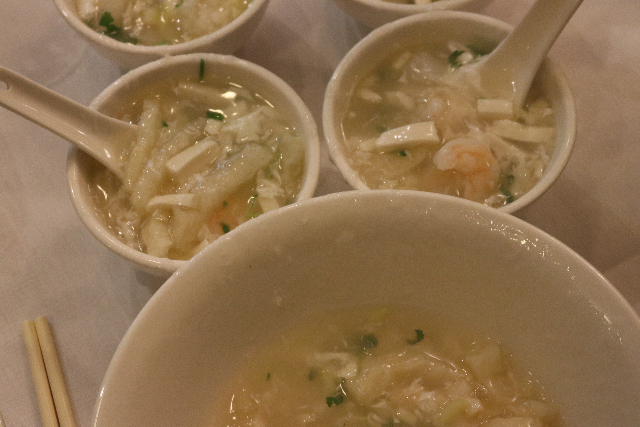 He ladled out the soup in four small bowls. There was enough for seconds. 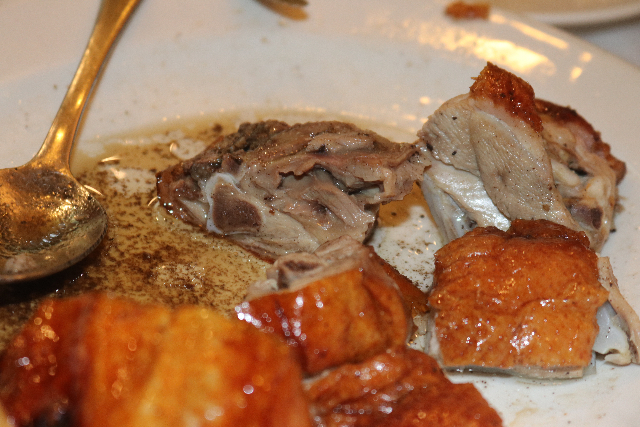 There were two orders of roast duck with sauce ($16 each). 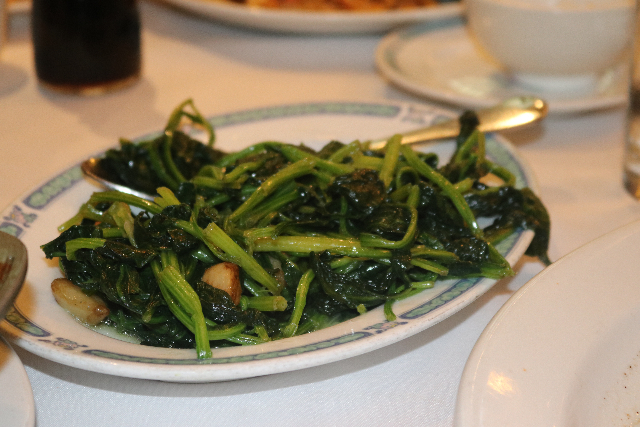 For greens we had sautéed spinach with garlic sauce ($12) and sautéed mustard greens with crab meat ($19). 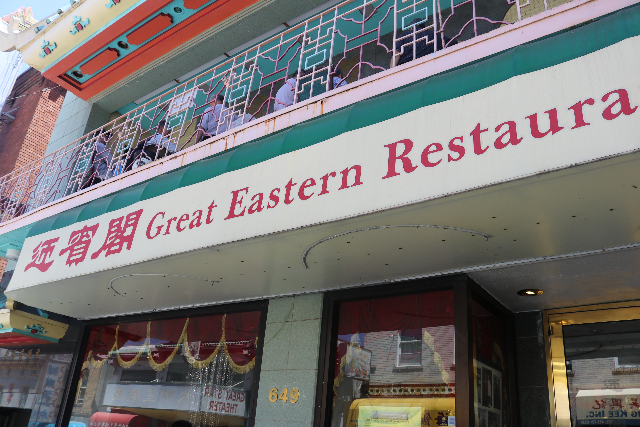 Rounding out our meal ranged from familiar to adventurous. 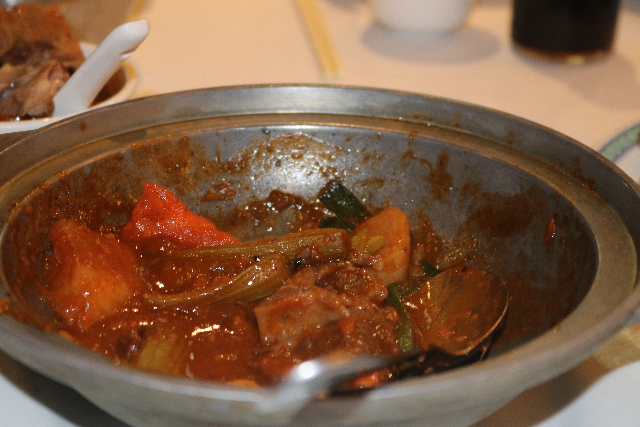 That included Chow Mein ($12.50) to exotic, ox tail stew with red wine in clay pot ($16). Astrid pronouned it superb. Looking about at other tables they were enjoying seafood dishes from crab and lobster to giant shrimps and whole steamed fish. The only regret of our meal was not having the opportunity to explore a menu with 182 items. After that phenomenal banquet we staggered back up Bush Street to our hotel. Astrid and Jack sprinted ahead while I had to pause a few times. It was a wonderful adventure and a highlight of a fabulous visit to San Francisco.